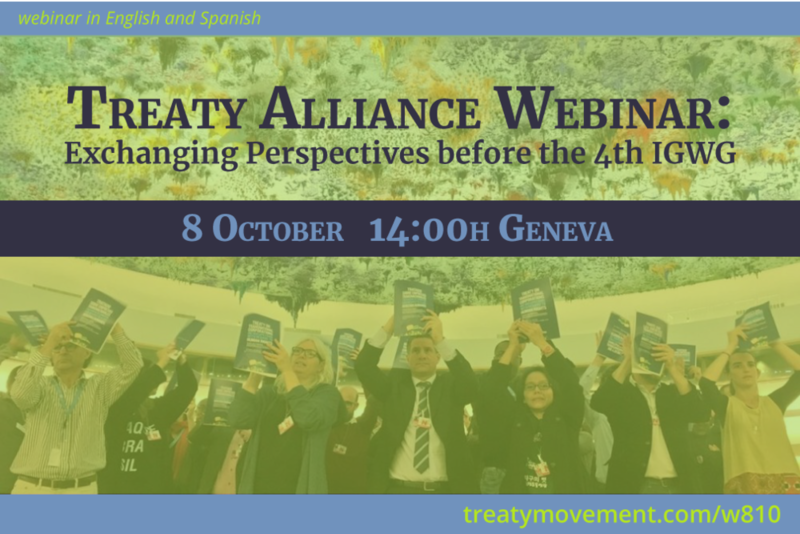 In preparation for the fourth session of the Inter-Governmental Working Group on “TNCs and other Businesses with respect to human rights” (15 - 20 of October) the facilitation group of the Treaty Alliance would like to invite all members of the Treaty Alliance to this webinar. We will discuss the aspects in the Treaty and Optional Protocol Drafts that we identified as most relevant for advocacy. Together, we hope to learn from each other's perspectives, and provide different arguments and analyses that can enrich our advocacy work around the Treaty.